Best price new Mazda – a genuine opportunity to buy your new Mazda at the lowest possible price. We’re saving new Mazda buyers $1000’s every week securing Australia’s best Mazda deals. Choose any new Mazda model and the options you want. 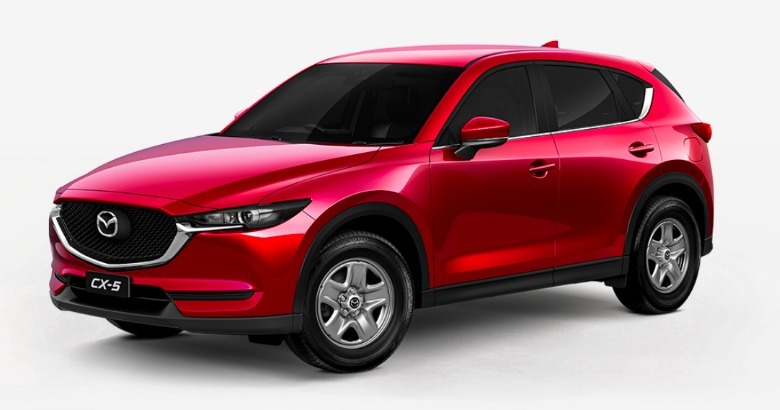 Be it the new Mazda 3, 6, CX3, CX5, CX8, CX9, 2, BT50 or MX5 – Any New Car will ensure you have the opportunity to buy a new Mazda at the very best price. Buying a new Mazda with the help of Any New Car means getting the best price, and the highest level of service without having to engage dealers in the negotiation process. Yes. We’ll also ensure that you achieve the highest possible price for any car (or cars) you intend trading in as part of any new car purchase. Yes. Whether you’re a private buyer, a small company or you run a large fleet of vehicles, Any New Car guarantees you the best deal on any new Mazda. In fact, any new car. We’ve forged alliances with Australia’s leading Mazda dealers and Fleet Management Operations – this means you’ll enjoy the best price, and the highest level of service when pricing and buying a new Mazda with the help of Any New Car. Mazda’s “zoom-zoom” campaign has been one of the world’s most successful new car branding exercises of all time. Mazda has always been proud to deliver discerning drivers a very high-quality, super-reliable motor car. Mazda’s more-recent releases are whipping new car buyer’s into a frenzy the world over. Mazda has now firmly stamped their zoom-zoom DNA into the hearts and minds of new car buyers worldwide with the consistent release of vibrant motor cars that are delivering owners and drivers just what they want. One of the great things about Mazda is they respond directly to their customer surveys. It’s not uncommon for Mazda owners to receive letters from Mazda firstly thanking them personally for their feedback, but secondly, months or years later Mazda owners have been known to receive a letter letting them know that their suggestion has been implemented on the new model! Best price new Mazda? It all starts here. Any New Car is here to save you time and money buying a new Mazda through a Mazda dealer near you. Have you decided on the new Mazda model you’re buying? If so, Any New Car is set to secure you the maximum discount on the Mazda model you’ve chosen. Our unmatched new car broker service ensures you get the lowest drive-away price on any new car. Our network of Mazda contacts across Australia are always set to win the business we continually deliver to them. This means you’ll always get the best price on a new Mazda with Any New Car.